This week has been pretty full on here in Aus. I flew to Sydney for two days, and I'm off down south today, so it's all go go go! 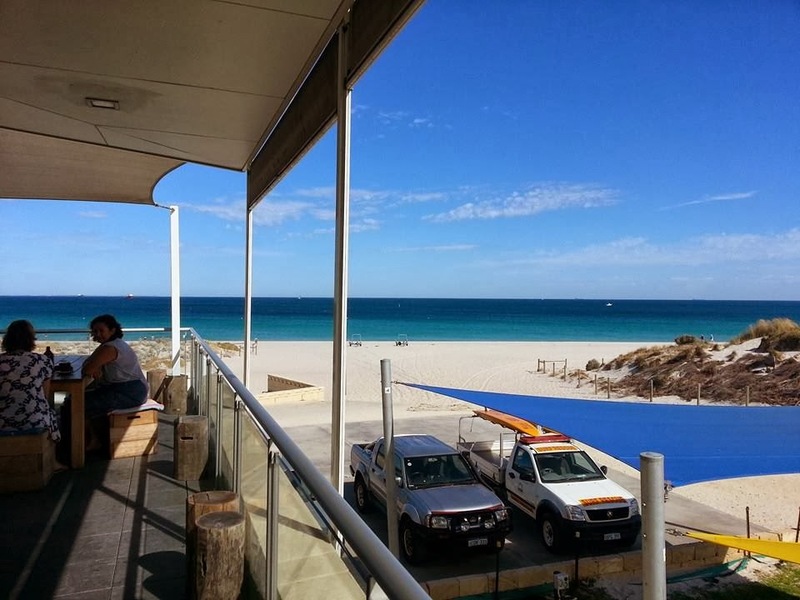 I have had some time to chill out though, and I finally managed to get to Bib and Tucker for brunch with Cait before going for a swim at Leighton Beach. Bib and Tucker is the brainchild of a fellow alumni from my old school, Eamon Sullivan. An Australian Olympic gold medallist in swimming, he was idolized at school and when his school swimming record was broken by my brother's friend, challenge stadium went wild with all the students whooping and shouting. Anyway, as well as being a very talented swimmer, Eamon is also an absolute foodie, and also owns Baxter's cafe and appeared on the Aussie Celebrity Masterchef! Bib and Tucker opened last year when I was over, but I didn't have time to check it out. This time I was determined, and it didn't disappoint. 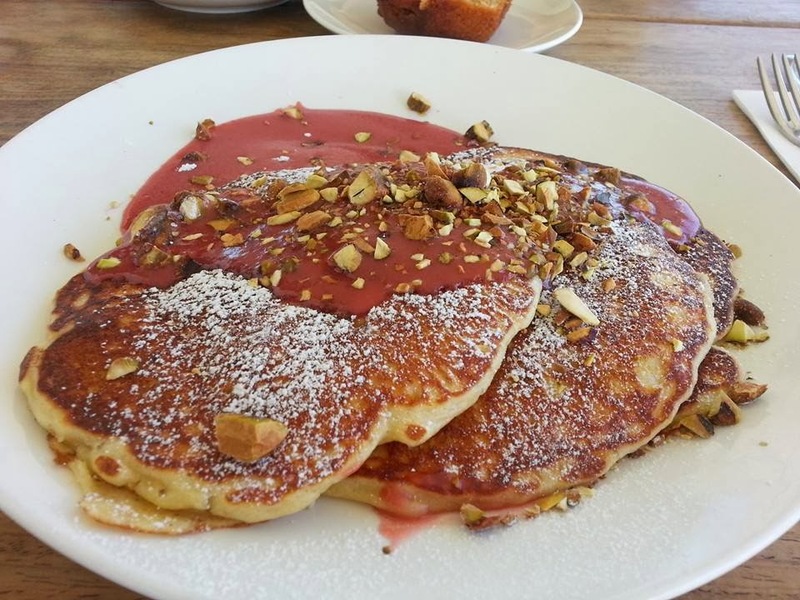 We sat outside on the balcony overlooking Leighton Beach, and I ordered the Lemon and Ricotta Pancakes with Strawberry Curd and Pistachios. They arrived quickly and sheesh, they were the lightest and fluffiest pancakes I have ever tasted in my life. Just look at them! The strawberry curd was delicious, it tasted like I had strawberry smoothie on my pancakes - yum! You could also really taste the lemon in the pancakes, which made them really refreshing on such a hot day in Perth (37 degrees at 10am!). The prices were pretty standard for Perth, around $18 (£10). Caitlin had the Fruit Toast which came with the most delicious jams. Apparently they always have different jams, so if you go make sure you ask which ones they've got - I hear the Vanilla and Fig one is the best! After brunch we headed to the beach to cool off...and made full use of my underwater camera! I then got swept under a wave and came out looking like this...attractive huh. I think we'll leave it at that for today!